There is a story I’ve heard many times about an elephant. During the earliest stages of a baby elephant’s development they are fastened to the ground by a rope and stake. 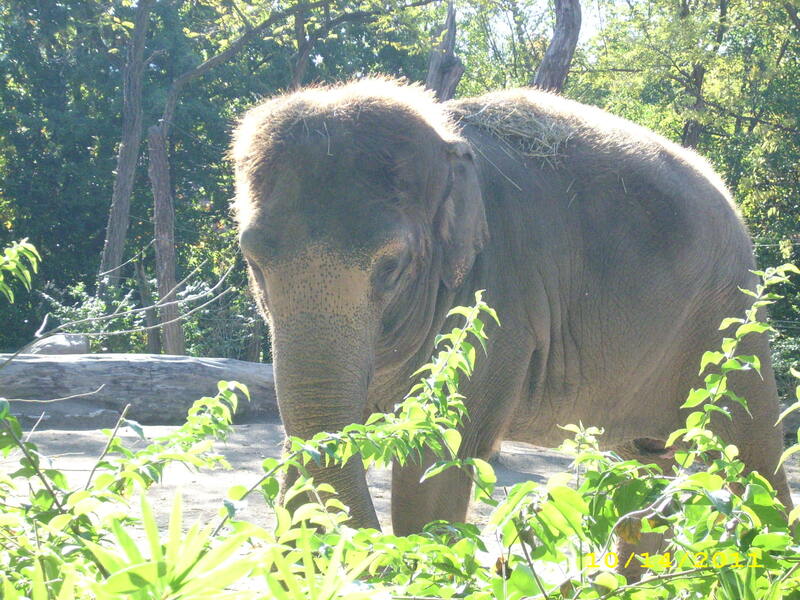 Since being tethered is not in an elephant’s nature, they continuously attempt to free themselves. As time goes by, the elephant realizes that is cannot free itself, and relegates itself to being held captive by the tether. As the elephant grows, and becomes stronger, it could easily break free from the bindings. But, the elephant doesn’t even try, remembering the futile attempts of his youth. I have been tethered. I have been bound by the sins in my past, restrained from living into the fullness of life by the shackles of shame. I made many, many mistakes in my college years. I gave myself away to others, allowed them to use and abuse me, and cast me aside. I cared so little for myself that I expected no one else to care for me either. I numbed myself with alcohol, blamed it for my poor decisions, used it to escape reality. For over 15 years, I have lived with a heavy weight on my soul. It had become so much a part of me that I didn’t even realize it was there, it was just a part of who I was. Last fall, in different healing academy trainings, my soul felt restless. My mind kept turning back to the mistakes of the past, and the sins that I thought I had buried deeply began to resurface. Nothing felt right, nothing felt easy anymore. My world was tilted upon its axis and I couldn’t re-align. I finally set aside time with a pastor for a healing session. I knew that I needed to unburden myself, to confess, to seek absolution. I can’t say it was easy, admitting to the mistakes, taking responsibility for my sins. I can’t say that I liked sharing the dark parts of who I am, who I was. But I can say that hearing the words “You are forgiven” has been life-changing. I can say that there has been a weight lifted from my shoulders. Freedom did not happen immediately. I left the healing session feeling disoriented and exhausted, and my mind still swirled with regret and shame. Peg really stressed the importance of forgiving myself. God had already forgiven me, but I struggled with forgiving myself. I begged God to help me to do that , because I knew I’d never be able to do it on my own. And He did. Slowly, over the next few weeks, and then over the course of the following months, I thought about the past less and less. When I would think about it, my heart was not as heavy, not as pained. Earlier this summer, I realized that I had not thought about the past, had not had those feelings of shame and guilt for several months. Suddenly, I realized that I felt lighter. I felt unburdened. No longer was I tethered to my sins. No longer was I held captive to the enemy through unforgiveness, through anger, through shame. There is a freedom in my soul now that was not there before. I am no longer restrained by that which shackled me to the past, and I am so thankful for the opportunity that I found here to find that freedom. Had it not been for this season in my life, I am certain that I would still be weighted down, held fast by the chains of sin and guilt.